Rebecca Mason is in the 5th year at Trebizon School and working hard for her GCSEs. However, someone takes some of her revision notes and then it seems that her locker has been ransacked and her letters from her boyfriend and her French penfriend have been read – who would do such a thing? 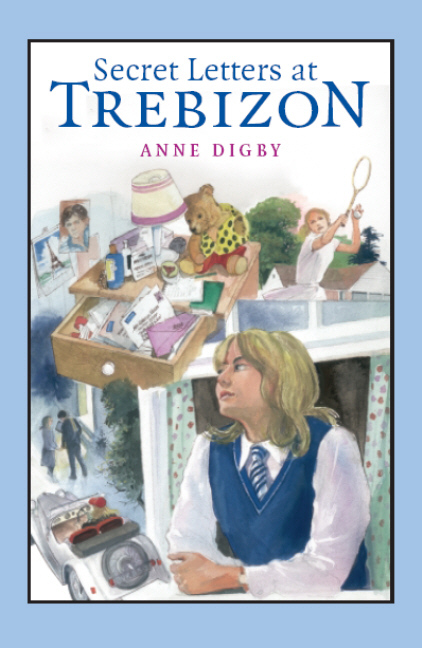 Rebecca Mason has decisions to make; should she go for a career in tennis or stay on at Trebizon school and move into the Sixth Form with her friends? An agent has seen her play tennis on TV in the documentary that was made about Trebizon school and thinks she is the could go far in tennis. Rebecca isn't sure. And what about her boyfriend Robbie? Things aren't going so well there. Does Robbie only like Rebecca because of her tennis? Anne Digby was born in Kingston-upon-Thames and attended the North London Collegiate School before becoming a magazine journalist. Describing herself as a ‘compulsive scribbler since childhood’, she enjoyed a varied early career creating comic strips and short stories for School Friend and Girl. After a period spent living in Paris, Anne and her family moved to oxford where she became Oxfam’s press officer. However, Anne longed to be a ’proper’ author and although she modestly claims to have received a number of rejection slips, in 1978 A Horse Called September was published. The book was well-received and Anne turned her attention to plotting her next books. She had been happy at her day school, but Anne had always hankered after boarding school life and so she was inspired to start creating her own boarding school. Although her agent was unenthusiastic, Anne was gripped by the idea of her school, now named Trebizon. Set in Cornwall, on the edge of a town, above a sandy bay where the girls could swim and surf, the main characters were to be Rebecca Mason and her five friends – The Six. Anne researched contemporary boarding schools, although many of the events and physical aspects of the school, such as its magnificent cedar tree came from her own schooldays. The Trebizon books are interesting partly for their contemporary setting. While most school stories were written in the first half of the 20th century, school stories set in the late 20th century, where girls had boyfriends and thought about careers and exams and travel, were virtually unknown. However, the Trebizon series were very popular, proving that the school story genre could be brought up to date and still appeal to its target readership. Ten titles were published between 1978 and 1985, with four more following in the early 1990s. These last were not as popular; largely because the publishing industry was experiencing a serious recession at that time and possibly because the original readership had grown up and moved on. Whatever the reason, these books are very hard to find and greatly sought after by collectors and it is these that Fidra will be reprinting in the first instance, beginning with Secret Letters at Trebizon. 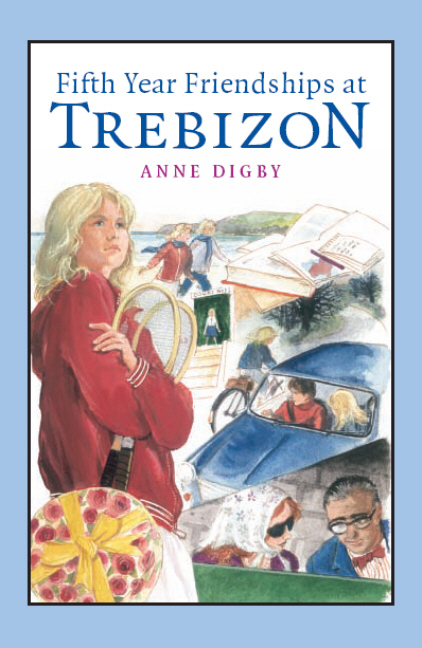 The Trebizon titles are still popular and, although out of print, copies are still regularly borrowed from libraries. Some aspects may be a little dated – today Rebecca and her French pen-pal would email each other, and iPods would have replaced Walkmans. 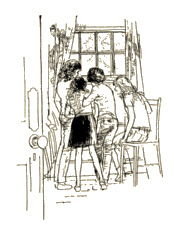 However, the themes of the books such as friendship, school activities, first boyfriends and adventure persist and although many older collectors will enjoy our reprints we’ve certain that a new, younger audience will also enjoy getting to know Rebecca and her friends.